The 1 billion rupee tie up between Sri Lanka tourism and tea board is very strongly accepted by the global community says the chairman SLTPB Rohantha Athukorala. 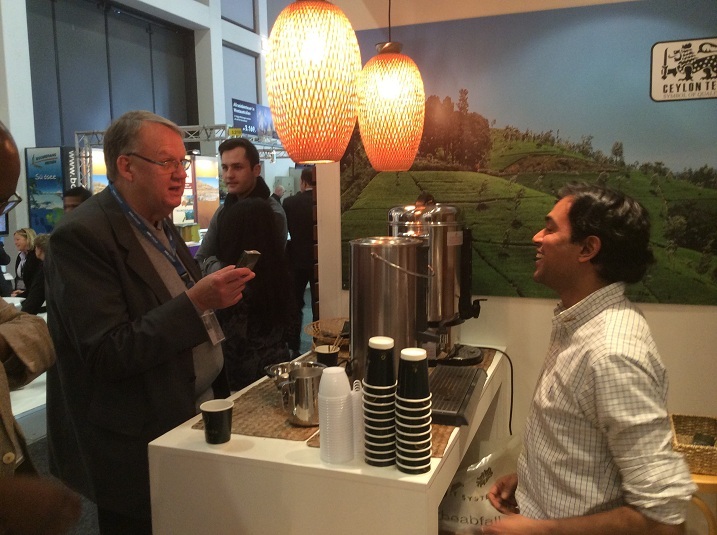 The sampling do be and the interest towards ' ceylon tea' at the Sri Lanka Tourism Pavillion is very positive. 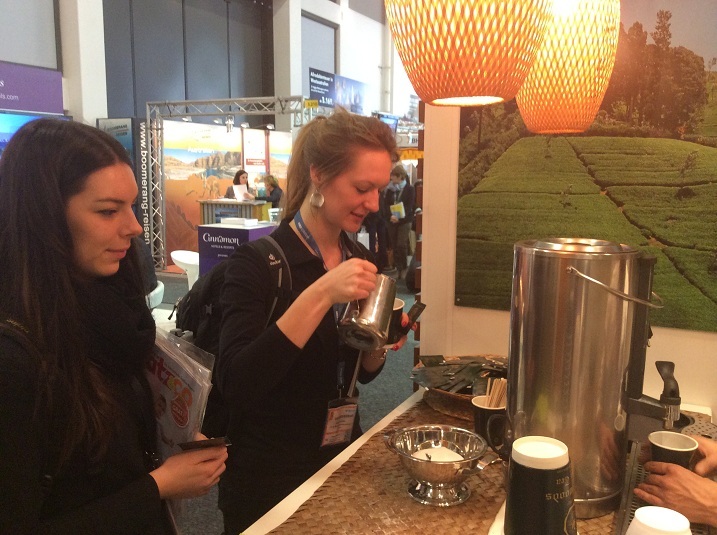 The largest travel fair globally that attracts 190 countries from across the world is said to attract the best 1million footfall for global trade. 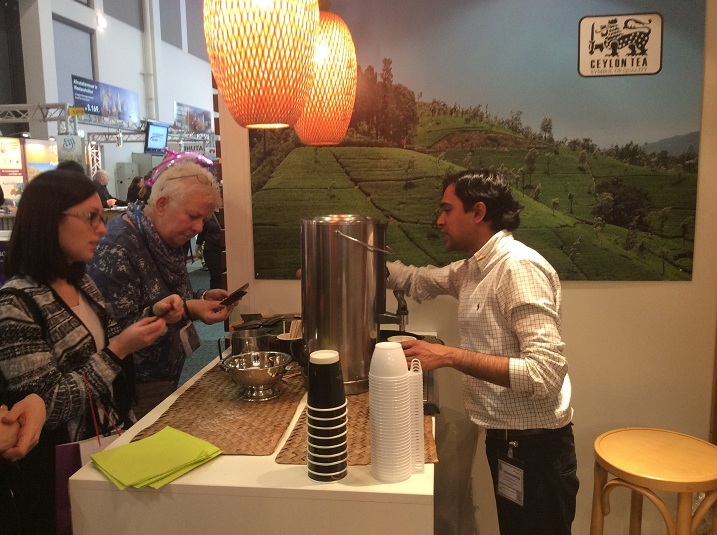 The Sri Lanka tourism formally requested the tea exporters association to recommend the exporters who are keen to engage the German market under the direction of the Sri Lanka tea board that showcase the top 6 brands at the event. Let's see what the feedback from the event is he voiced. The industry voiced that for the 1st time we see the positiveness of Germany to Sri Lanka.....now we need to maintain it.